Mons Huygens is the Moon's tallest mountain (but not its highest point). It is about 5,500 m (18,000 ft) high and is located in the Montes Apenninus. Adjacent to the west is Mons Ampère. 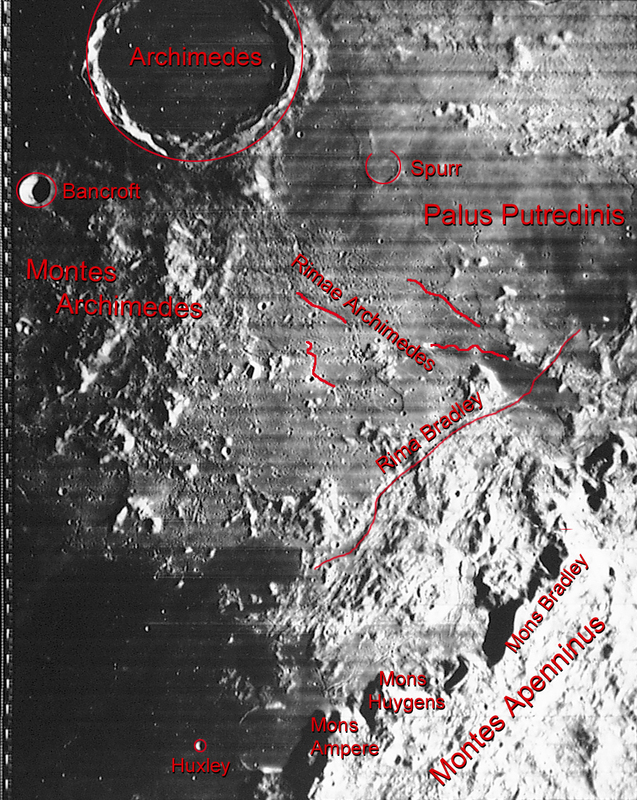 The Montes Apenninus were formed by the impact that created Mare Imbrium. The mountain was named after the Dutch astronomer, mathematician and physician Christiaan Huygens.